As many of you may know, I run Lunch Bunch groups at my middle school. One of my main goals for the groups is to develop their leadership potential. My 7th grade girls have started the I Inspire Project. We have started a Twitter account and a hashtag (#) for this project. The I Inspire Project hopes to make a difference in the world by inspiring others to find their inner strength, courage, and beauty, and the girls want to know, "How do you inspire others?" Each week when we meet we will post an uplifting quote (the girls are all taking a different week) and several photos of our how "you" inspire others. Please help by participating in this project. 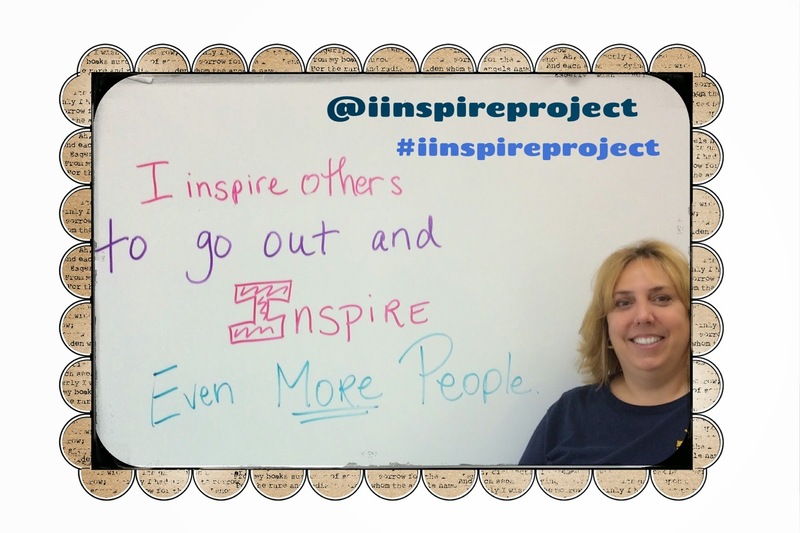 All you need to do is write on your classroom whiteboard "I inspire others by" and then completing the sentence. Make sure to get a picture of yourself with your message and then either post it to Twitter to @iinspireproject or #iinspireproject or email it to me.